The laundry department in any accommodation establishment, be it small or large, is an extremely important link between the guests and the general smooth running of housekeeping. The obvious function of the laundry department is to process soiled linen of all kinds, including all bed linen, bathroom linen, dining linen, staff uniforms and lastly guests’ clothing items. The laundry department will launder, dry clean, tumble dry, press or iron the linen, and supply housekeeping with fresh supplies to ensure that high standards can be maintained. Often though, things can get tricky when it comes to the laundering of guests’ clothing and other items, as these do not belong to the hotel and special care needs to be taken to ensure that no items are harmed, destroyed or mislaid. Therefore, each establishment should have a carefully thought-out policy regarding laundry and valet services, whether they have in-house laundering or contract their laundering out to an external company. Before we get to discuss a general laundry policy, let’s look at the how accommodation establishments go about their laundering. If the establishment is part of a large chain, there may be a contracted laundry partner to whom all the soiled laundry gets delivered and then once it has been processed it gets sent back to each establishment. Probably more common for medium to large establishments is to have an in-house laundry department within the premises, while smaller establishments like guest houses and B&Bs may do laundering on the premises and contract out the more difficult jobs like dry-cleaning. All these options are obviously dependant on factors such as the size of the establishment and its location, the physical space available for a laundry room, how much income an establishment generates and how many staff members it employs. That said, all establishments should have at least a washing machine or two. Siza Nxumalo, Supervisor Laundry Services at the Westcliff Hotel in Johannesburg, believes that there are numerous advantages to having in-house laundering. The Westcliff laundry room can process any item of clothing for guests, as it has laundering machines, tumbles driers and a dry-cleaning machine. Nxumalo says that it would be much more expensive for a large hotel like the Westcliff to contract out, and she reckons that you just can’t beat the convenience. “Also, with in-house laundering the linen is well looked after and will last a longer time, saving the establishment money in the long-run”, she says. A smaller establishment, like Chelsea Villa Guest House in Durban, also believes offering laundering services in-house saves time and money. Tahlita Abrams of Chelsea Villa says that although they offer laundering services to their guests, they have to contract their dry-cleaning out, as they don’t have the machinery to do this. “We will pickup any guest’s items for dry-cleaning and take it to the dry-cleaners ourselves, and then go pick it up again”, she says. In order to run an efficient in-house laundry service, you really do need the manpower to do the work, which can be quite laborious. Nxumalo says that the Westcliff Hotel employs seven permanent and two temporary staff members in their laundry department, who work in two shifts throughout the day. The first shift starts at 6am and ends at 3pm, with the second shift starting at 3pm and carrying on through to 11pm. Nxumalo says that their staff members can pick items up until closing time at 11, but because items take at least 2 hours to process, guests who get their laundry demands through to the department after 9pm can only get their items back the following day, while guests who make the 9pm deadline will get their laundry back on the same day. That’s impressive! The Westcliff employs the formal procedure of having a valet to collect the laundry and ensure that a ticket (a duplicate form) has been completed and signed by the guest. The guests are expected to place their soiled laundry in the linen laundry bags that are supplied by the hotel. A smaller guest house, like Chelsea Villa, on the other hand, is by nature a lot less formal, and will thus also employ fewer members of staff. Even though they get quite a few laundry requests, particularly from long stay guests, Chelsea Villa only employs one staff member to do the laundry, which includes washing, tumble drying (if needbe) and ironing. The guest house also supplies guests with laundry bags that can be filled with soiled laundry that needs to be processed. It is a good idea to have a policy in place regarding the laundering of guests’ items, and this should be made clearly visible to the guest who will be using the laundry service. The Westcliff Hotel has their policy printed on the back of the ticket that the guest fills in before handing over any laundry that needs to be done. As a general idea of what should be stated in a policy such as this, we include an example of the general laundry policy and terms and conditions of the Indaba Hotel based in Fourways. 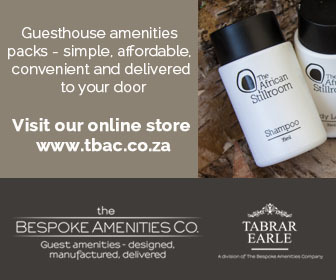 As you can see in point number 7, all items are steam pressed and not ironed at the Indaba Hotel laundry room, which is different from the Westcliff, where they offer both and it depends on what the guest asks for. It is important to realise that ironing can destroy clothing much more easily than steam pressing, and accidental burns can be quite easy to make. If you are in any way concerned that your staff may burn guests’ clothing with an iron, then invest in a steam press, and train your staff on how to use it. Even if you own a small guest house that is contracting any part of laundry services out to external companies, it would be a good idea to have a policy, such as the one alongside, in place, in order to protect both yourself and your guest in case an item is ruined in any manner. 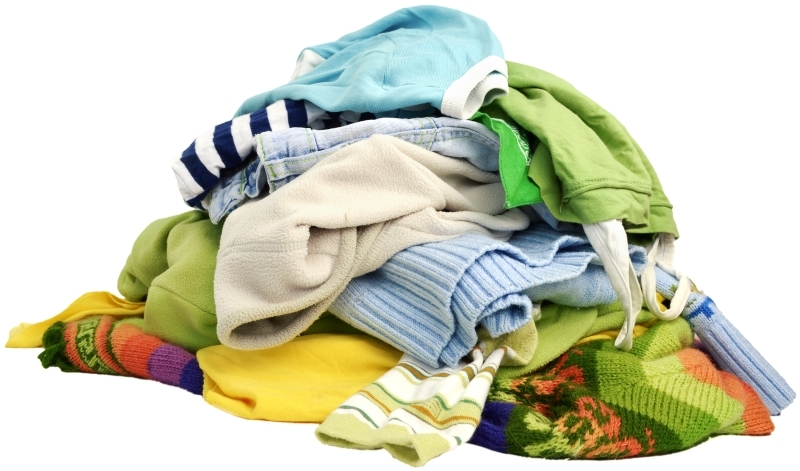 If you operate a self-catering or caravan and camping resort you should provide an on-site laundry with coin-operated washing machines and tumble driers. Many establishments keep ironing boards and irons on hand for guests’ use. Remember that whenever you make appliances available for guests’ use there should be a clear disclaimer stating that they are using them at their own risk. The Guest must complete and submit laundry records correctly. All items or articles submitted for any cleaning of any nature are done so at the owner’s risk. Although the greatest care and due diligence is exercised by the relevant outside parties, no responsibility can be accepted by the hotel for late delivery, loss or damage due to fire, theft or fabric defects and/or incorrect entries made by subsidiaries, contractors or persons conducting services for or in accordance with the service required. Unless expressly otherwise indicated, the contractor counts must be accepted as true and correct. No responsibility will be accepted for any shrinkage, colourisation or damage to specific fabrics (inclusive but not limited to buttons and valuables left in the garments or attachments) if the guest does not expressly indicate it. Notwithstanding the above should any liability be accepted as a sign of good faith only, compensation shall be limited to an amount not exceeding the service charge times five payable in the currency of SA. All items are cleaned, steam pressed and not ironed. This document will be considered binding on all parties and by attaching his/her name or signature or room no as such the guest agrees to the terms and conditions hereof.